Sangvi Palace is located near IIMT College in Knowledge Park 3 in Noida. The hotel is very popular due to the comfortable rooms and the reasonable prices at which they are available. The rooms provided have been designed and decorated in neutral hues. The rooms are well-furnished, and a number of wooden elements have been used throughout the room. All rooms have also been decorated with brightly colored curtains. Every room has a mini workspace comprising a leather chair and a wooden table. The extra facilities provided by the hotel are free Wi-Fi, a constant power backup source, parking provisions, a banquet hall, laundry provisions, and CCTV cameras. The in-house facilities can be used by the guests as and when required. 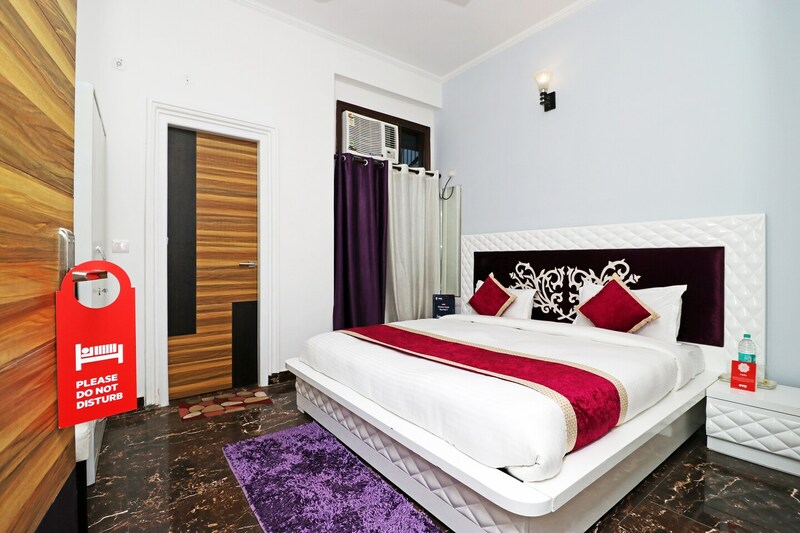 The hotel is surrounded by a number of essential facilities such as the Indira Gandhi International Airport, Jahat Farm Bus Stop, Gama 1 Bus Stop, The Royal Kitchen, Giani, Zauk, Sleepwell Shoppe, Beta Plaza, and Galaxy Blue Sapphire Noida.